Following yesterday’s details on the filming in Italy for the 24th James Bond movie, Spectre, we have a first look at Daniel Craig and Monica Bellucci filming scenes in Rome. 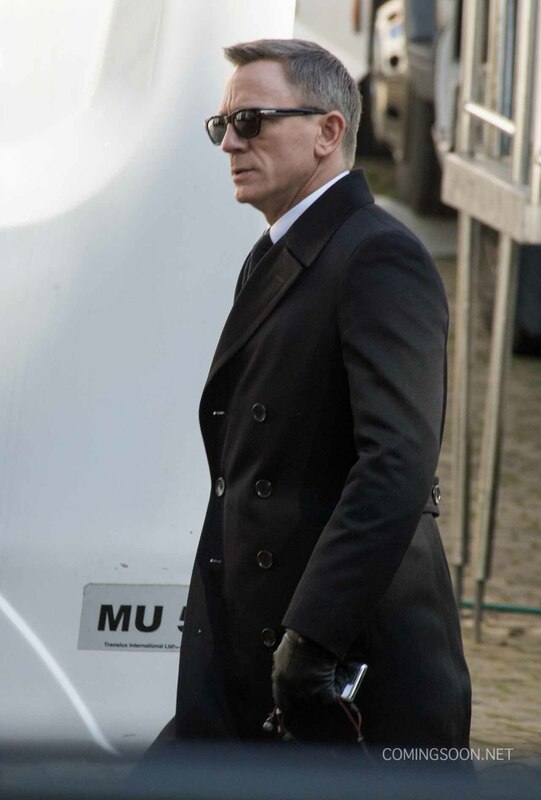 SPECTRE (Special Executive for Counter-intelligence, Terrorism, Revenge and Extortion), as Bond fans know, is a fictional global terrorist organization featured in Ian Fleming’s novels, as well as the films and video games based on those novels. The organization was led by the villain Ernst Stavro Blofeld, although the cast is definitely playing it coy about whether or not Blofeld will actually appear in the new film. Directed by the Academy Award-winning Sam Mendes (Skyfall), Spectre stars Daniel Craig, Ben Wishaw, Naomie Harris, Ralph Fiennes, Christoph Waltz, Monica Bellucci, David Bautista, Léa Seydoux, Andrew Scott and Rory Kinnear. Written by John Logan and Neal Purvis & Robert Wade, the movie hits theaters on November 6, 2015.